Being a fan of fantasy novels and old school RPG, I have always been a fan of the Traveling Performer Troupe. That being the case, I am a huge fan of Bobsy's Medieval Travelling Theatre (*). So right off, great concept and one that has not been investigated by LEGO (that I know of). Also, this design has just the right level of details to make it at home in any number of scenes. 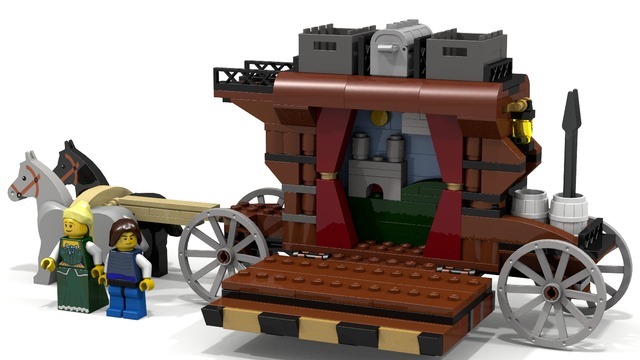 I could see this wagon parked outside/inside any LEGO Castle, entertaining royals at the Kingdoms Joust or the common folk of the Castle Medieval Market Village, or even perhaps with one of AlexP's masterworks. The nature of this set just breathes playability and story. You can create a multitude of scenes with the provided figures and elements. 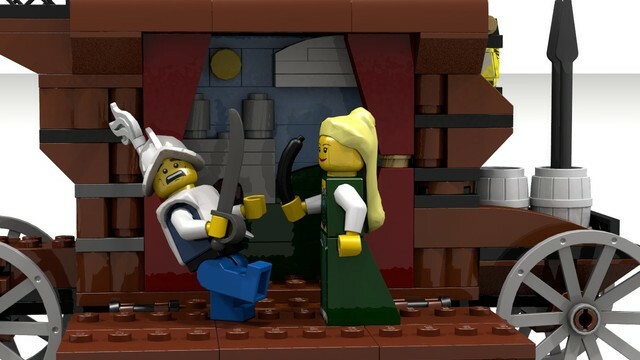 When you are done playing, you can leave it locked in your favorite scene for a great vignette. The value of this set of course grows with the collectable minifig series which seems to expand on historical figures with each set released. Shakespeare, the Pirate, and the Conquistador would all work well with this build. I think, play wise, the only way this set could be improved would be to design the set dressing wall to slip out easily, perhaps with a pop-off roof. This way, the castle stage could be swapped out with a variety of user designed backgrounds. Like many sets on Cuusoo, this one comes with more accessories and minifig elements than would be found in standard sets. Unlike the majority of such projects though, this one actually has a justifiable reason for it. Given the lack of disqualifying IP, high playability, and viable scale, this set's biggest challenge is getting the necessary supporters, and to some extent proof of marketability. I could easily see it getting a massive overhaul with the official design. 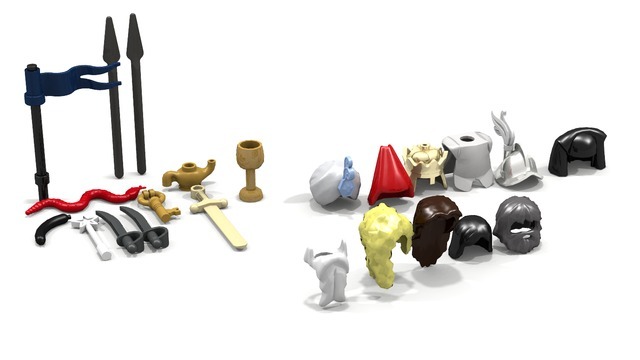 There is no telling what the LEGO Group's response to so many minifig elements in one set would be, but a significant collection of elements is effectively required for the core concept of the set. The only set I know of with a similar situation would be the wedding cake topper set which has three hairpieces for the bride (to match hair color). I could also see the wagon getting a bit of a redesign and assume that LEGO is sticking with the new horse for all future sets. * Many people are familiar with "Theatre" & "Theater" being two spellings of the same word. But many might not know that Travelling & Traveling are localized variations as well. Just another one of those quaint British/American spelling variations (according to the internet).